Heels at Just Jinny take references from classic styles for a timeless collection that you’ll want to pair with pretty much every outfit. 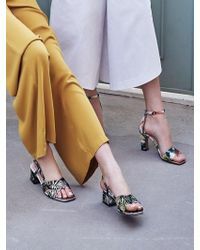 This brand delivers a smart edit of heels featuring details including patent sheens, glitter heel detailing and distinct contrast panel embellishments. 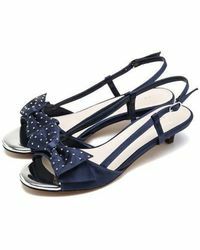 Think strappy sandals that nod to the 90ss and pointed-toe courts you can wear season after season.